Imagine the bright spectrum of colors you would bask in while walking through a cathedral full of rainbows. 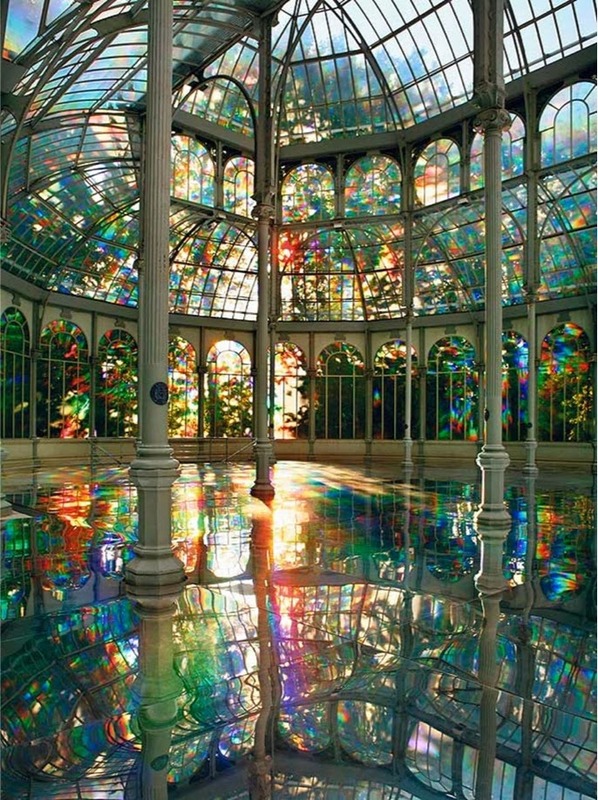 To Breathe - A Mirror Woman is Kimsooja's 2006 site-specific installation for the Palacio de Cristal in Madrid, Spain. To expand and unite the architectural structure of the space, Kimsooja had the whole floor tiled in mirrors. She then covers the vault and the entire glass surface of the palace with a translucent diffraction film. When outside light filters through the glass and reflects off the film, it creates a rainbow spectrum that is mirrored in every part of the atrium.